Now I have two samplers for you: one is cutwork, the other applique work. Both samplers were made in 1950. 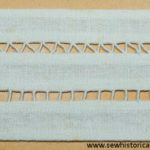 The design was cut out first, the raw edges of the eyelets were then finished with tiny, closely spaced overcast stitches. 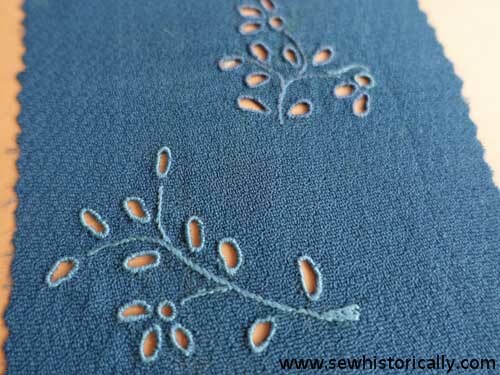 The embroidery was done with ordinary sewing machine thread. 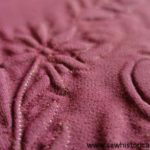 The cutwork is so delicate, I wonder if it’d withstand washing. 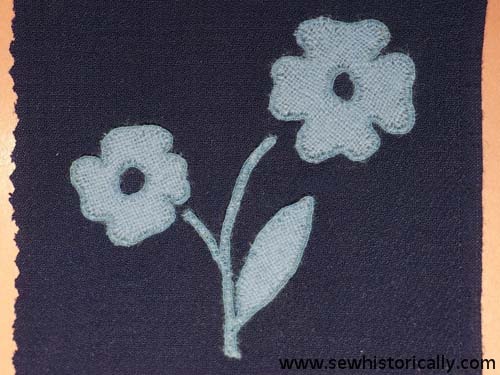 The second sampler is a flower applique. 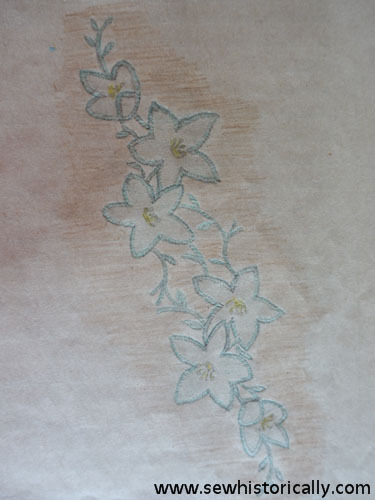 The flower, stems and leaves were all appliqued with small, closely spaced buttonhole stitches by hand. The thread is again ordinary sewing thread. 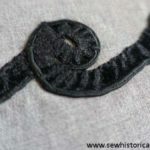 The applique is also so delicate that I wonder if the applique would still be attached after washing. 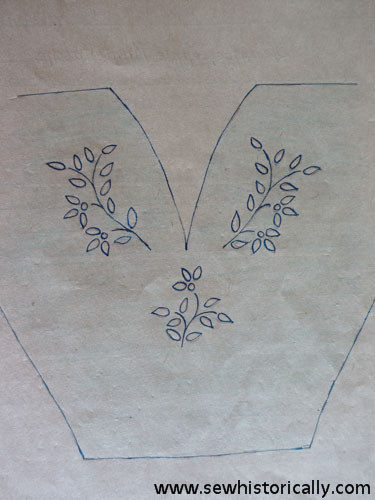 How to applique by hand (1950 instructions by my grandmother): Mark the place for the applique with basting stitches on the dress. Take the bodice of the dress apart. Place the fabric for the applique on the right side of the bodice (make sure that the grainlines of both fabrics match), and place the applique design on top; secure all layers with tacking stitches. 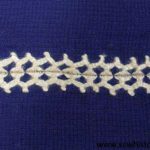 Carefully sew along the lines of the design with tiny stitches. After all applique pieces are attached, rip off the paper. 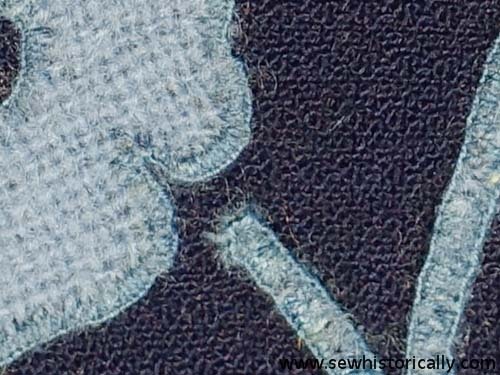 Now cut away the fabric close to the stitching line. 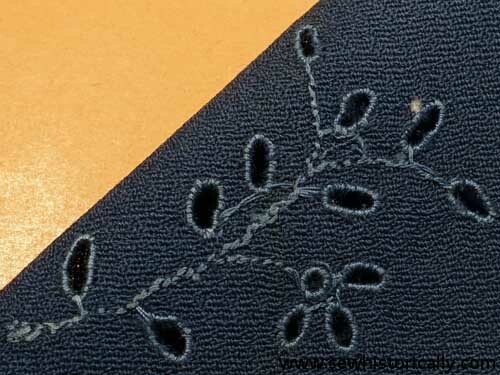 Then attach the applique with closely spaced buttonhole or other embroidery stitches by hand. 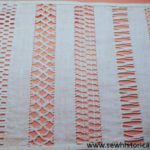 Here you’ll find part 6 and part 8 of the 1950s embroidery and sewing series. 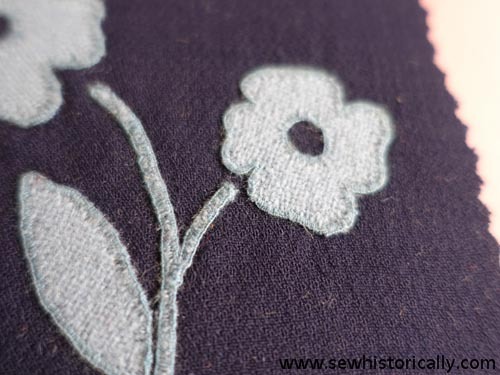 I’m loving seeing embroidery from the 1950s. 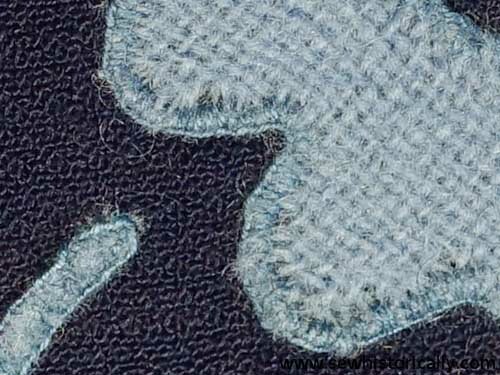 The stitching is perfect. 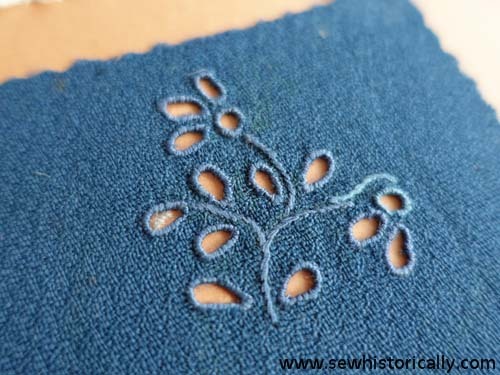 I’ve featured your grandmother’s cutwork and applique today, Lina. You really are so talented, Lina! Thanks for sharing your handiwork @Vintage Charm!